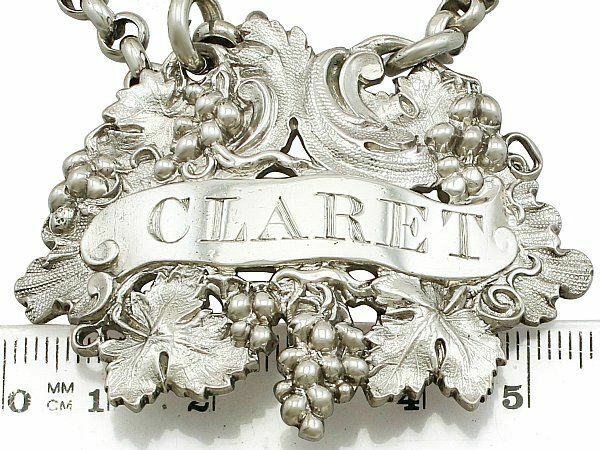 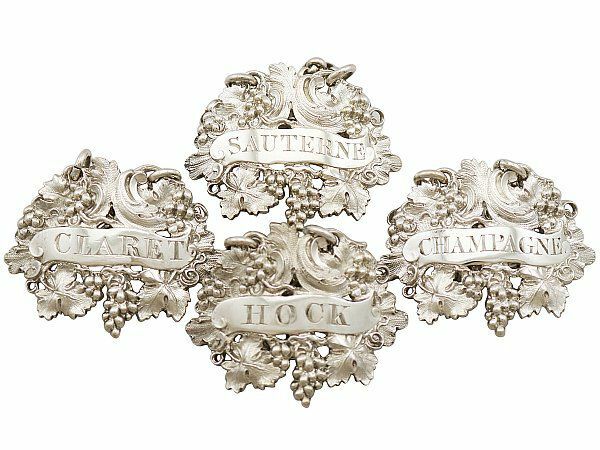 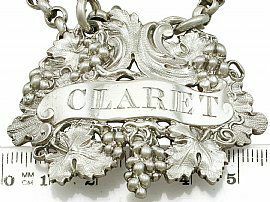 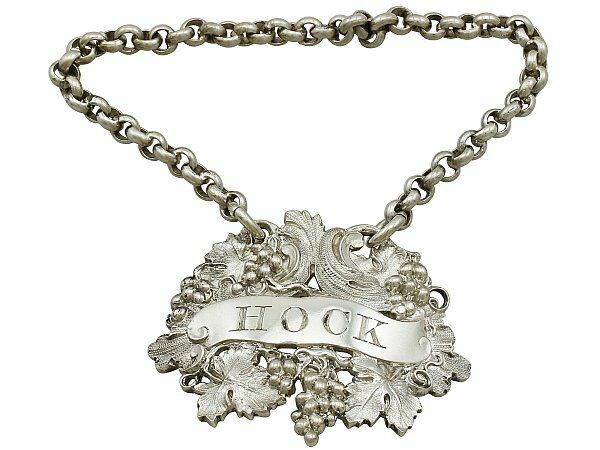 These exceptional and collectable George IV cast sterling silver wine labels have an oval shaped form. Each bottle label is ornamented with exceptional fruiting vine ornamentation, accented with grape clusters and spiralling tendrils. 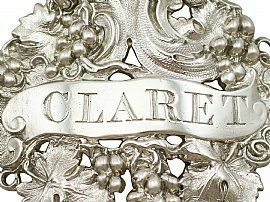 This decoration incorporates a central banner shaped cartouche, each engraved with the desirable inscriptions: 'Claret', 'Champagne', 'Hock', and 'Sauterne'. 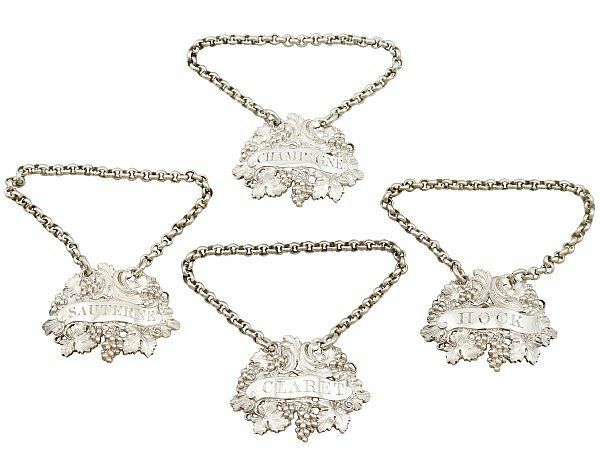 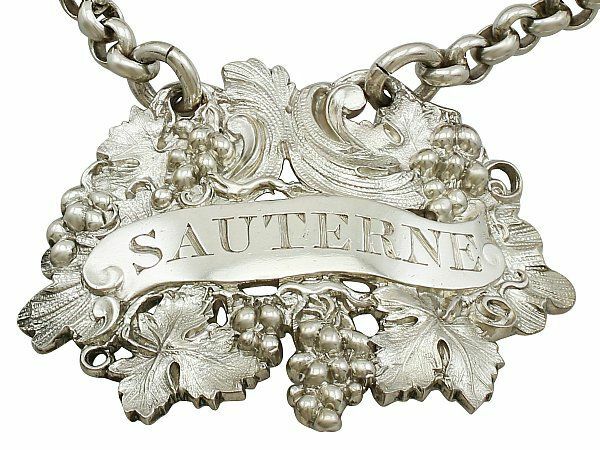 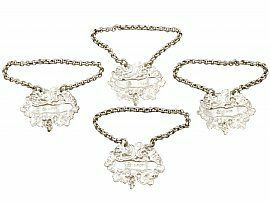 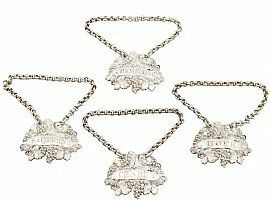 These antique silver bottle labels are suspended by two ring loops to the upper portion and connected by silver round link chains. 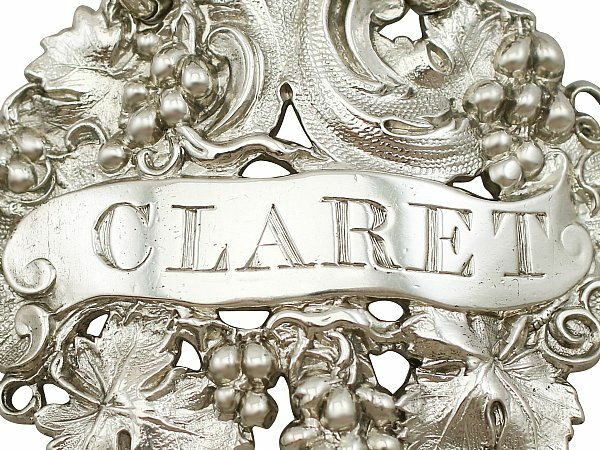 These exceptional silver wine bottle labels were crafted by the important and renowned London silversmith Robert Garrard II, subsequently R & S Garrard & Co.; they are a high quality and gauge, as to be expected from this silversmith. 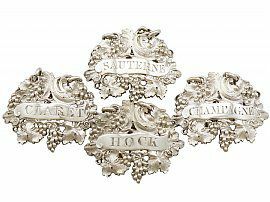 These antique silver wind bottle labels / tickets are an exceptional gauge of silver, exceptional quality and in exceptional condition. 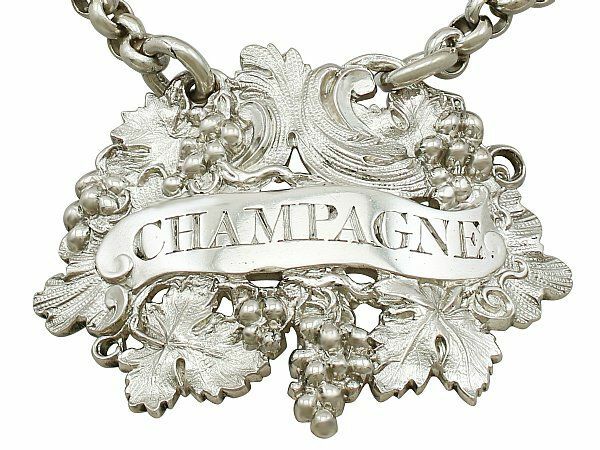 The cast decoration is all very sharp. 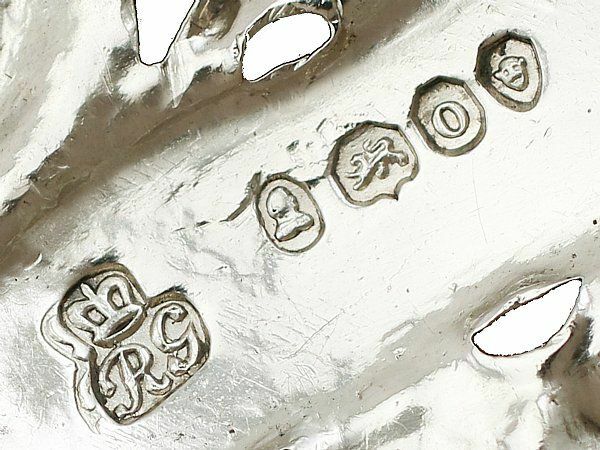 Full British hallmarks struck to the reverse of each piece are all very clear.